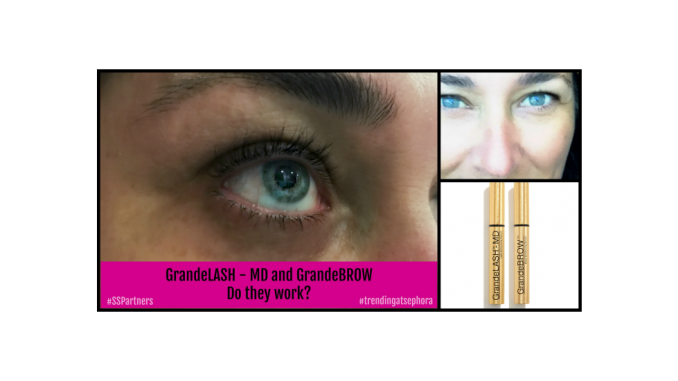 HomeBeautyGrandeLASH – MD and GrandeBROW: Do they work? GrandeLASH – MD and GrandeBROW: Do they work? 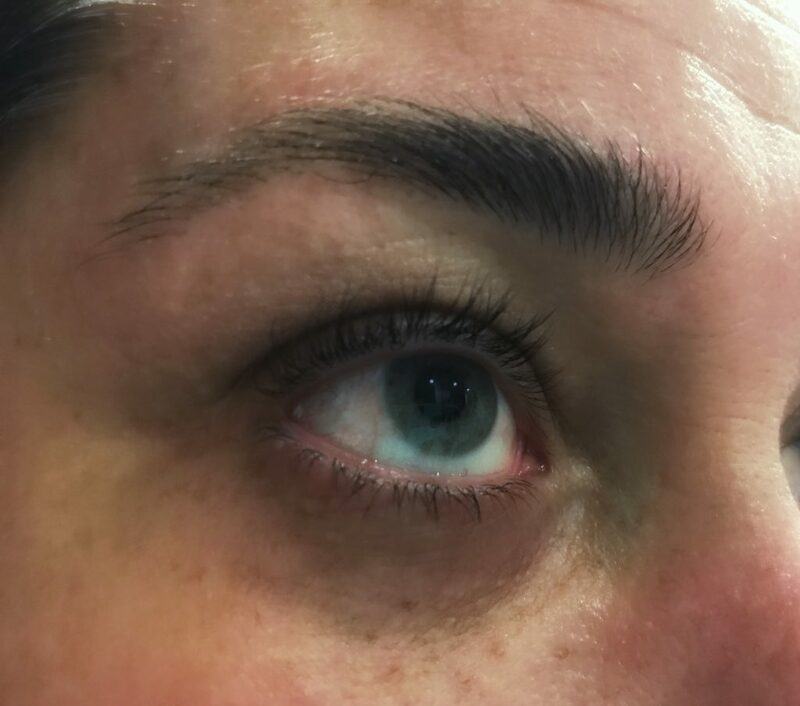 Ever since I did a sponsored post on Grande Cosmetics from Sephora – Two New Ways to Improve Your Eyes I get asked often about GrandeLASH – MD and GrandeBROW: Do they work? Well, this is an easy answer for yes, yes they do. I wish I knew I would be doing a review follow up post for I would have taken the time to take better photos of my before and after lashes. I don’t take a ton of selfies, so I had to look for some recent photos with little to no makeup and close enough to see what I was missing compared to what is there now. Bottom line, yes. I have been using both serums now for almost 3 months. I can see a difference in both my brows and lashes. My brows are filling in where they were getting thin, and my lashes, they are longer and fuller! Here are the photos and the product info that I shared in my original post. GrandeLASH – MD is a vegan, all-natural, cruelty-free serum which uses ingredients designed to make our lashes look more beautiful and actively promote better health of each and every lash. This revolutionary lash enhancing serum promotes longer, thicker looking eyelashes in just 4 to 6 weeks with full results in 3 months. And for those of you who have false lashes and/or extensions, this product is safe to use. Not only does GrandeLASH – MD from Grande Cosmetics promote longer, thicker lashes in just 4 to 6 weeks, it’s also kind to animals. You can find GrandeLASH – MD on Sephora.com. It’s $67 for a 3 month supply, which means you can have beautiful lashes for just over $20 a month. Grande Cosmetics GrandeBROW is a safe, easy, and effective way to get fuller, thicker brows in 6 to 8 weeks. This brow enhancing serum starts working from day one to help promote thicker, healthier brows. Full results in 4 months. Apply directly to each eyebrow every night before bed and let it do its magic. At $80 for a 4 month, supply, it’s only $20 a month to get thick, fuller, healthier brows. You can find GrandeBROW on Sephora.com right now. So give it a try. I will continue to use both GrandeBROW and GrandeLASH for I am loving the results. I precisely wanted to thank you very much once more. I do not know what I would have created without the recommendations shown by you on such a theme. 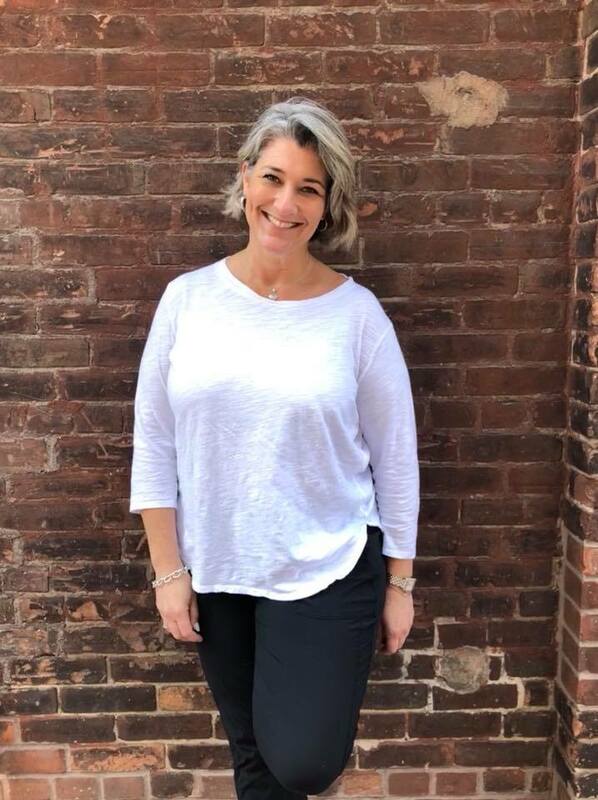 It became a alarming issue for me personally, however , taking note of a new professional strategy you resolved it took me to cry with happiness. Now i am happier for the work and then hope that you really know what a great job you were doing educating men and women through the use of your webblog. I’m certain you’ve never come across all of us. Hey Buddy!, I found this information for you: "GrandeLASH – MD and GrandeBROW: Do they work?". Here is the website link: https://www.trippinwithtara.com/grande-lash-md-and-grande-brow/. Thank you.